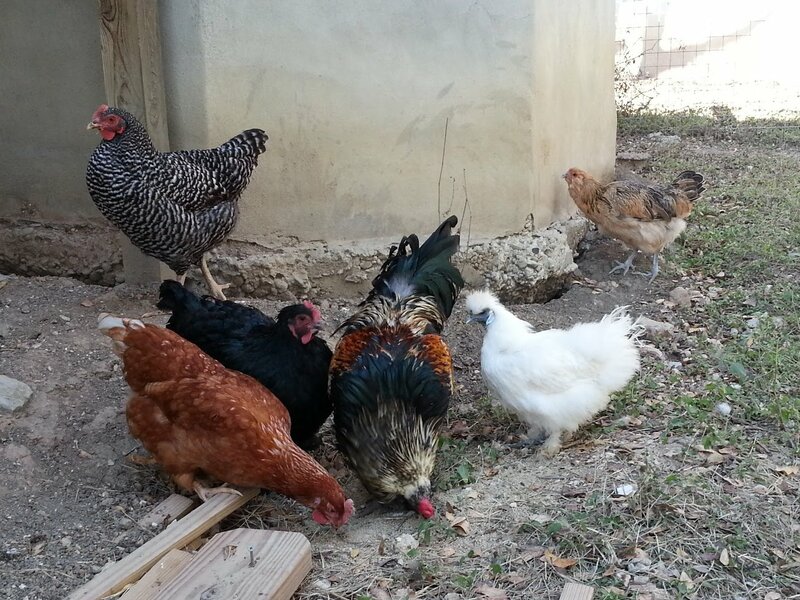 the flock is looking great lately, and despite the waning daylight hours we are getting eggs once again! finally! we had had a bit of an egg drought, due to some changes and moltings. 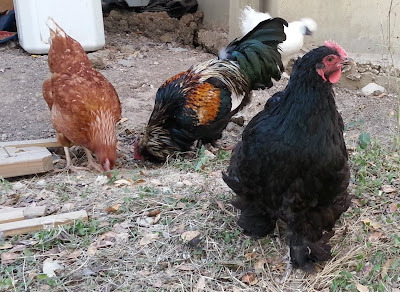 also, i must pause to commemorate the sad passing of ninja, of pearl and ninja, half of the Original Chickens. 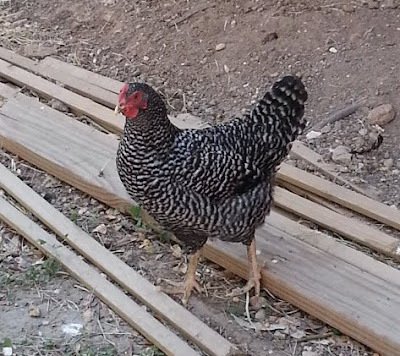 there was no reason to believe she was ill, and no apparent drama--i went out to open the coop in the morning as usual, and she had passed on to the great free-range in the sky. 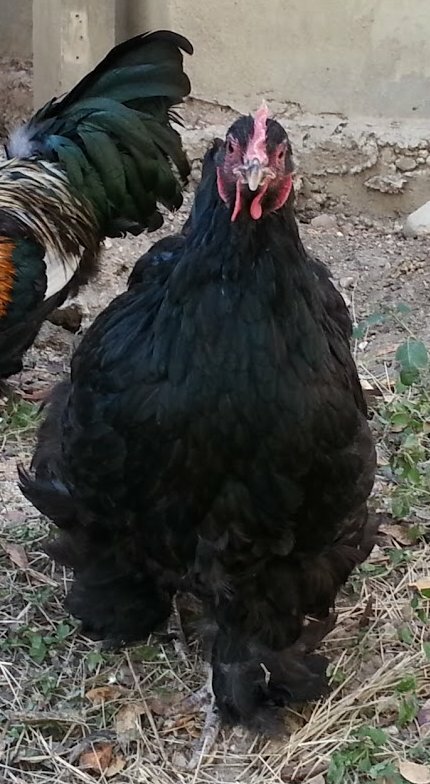 she was a proud and lovely black silkie, and she will be missed. the other ladies and gentleman have been fine for the most part. sammo is only just coming off a molt, regaining her regular regal and bearded countenance. 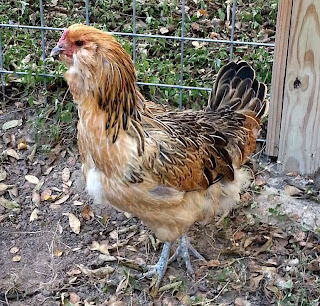 she was the standing egg champion, but the energy expended for feather replacement takes priority over egg production, so we are eagerly awaiting her first post-molt green egg. still a little scruffy lookin'. scottie pippen, on the other hand, has stepped up to the (breakfast) plate. 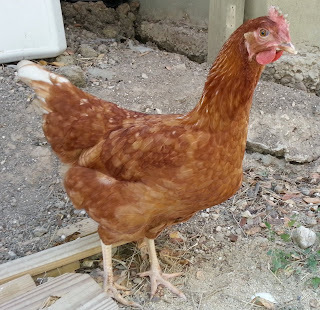 she had a bout with the dreaded poultry pox, which saw her spend several nights on the porch in the chicken hospital, drinking antibiotic water, eating special treats and basking under the heat lamp. 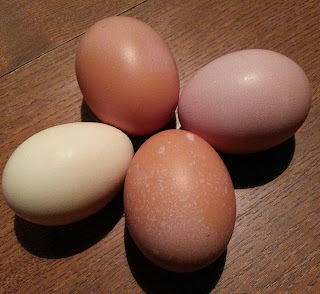 she has fully recovered, and is now laying her first beautiful huge brown eggs! 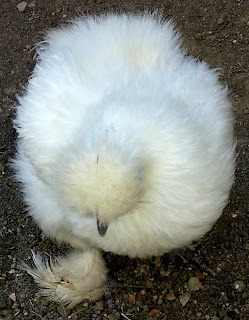 that is a silkie egg on the left for comparison! 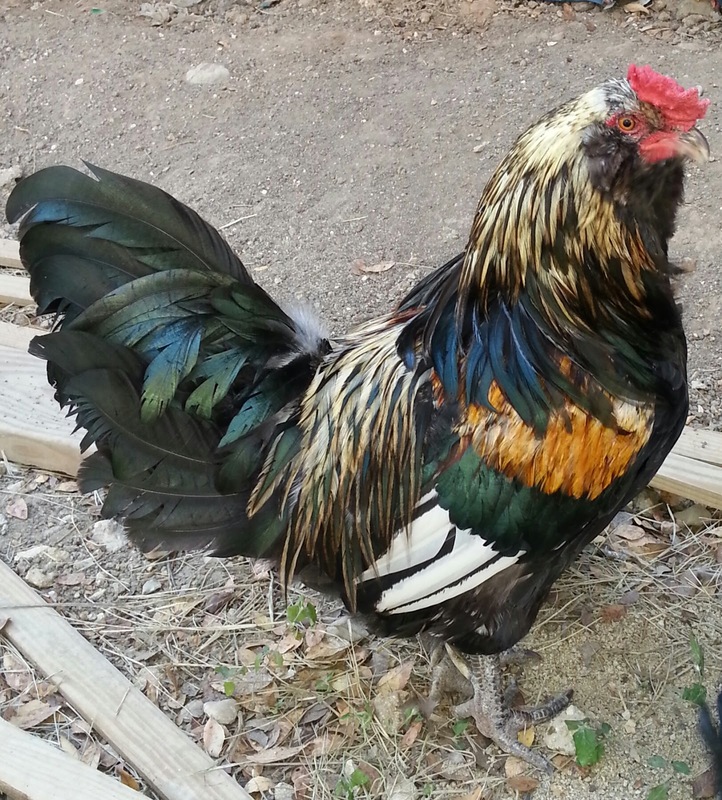 scottie is also the most friendly of all the chickens, and runs up to me or dan with great gusto every time we walk into the yard. she is also fascinated by the dogs, who luckily regard her as a strange and somewhat annoying yard creature not to be encouraged. i'm glad we have this peaceful dog-chicken dynamic going, rather than the expected predator-prey relationship. pearl, the other Original Chicken, has taken the death of her companion in stride, and seems to be adjusting nicely. 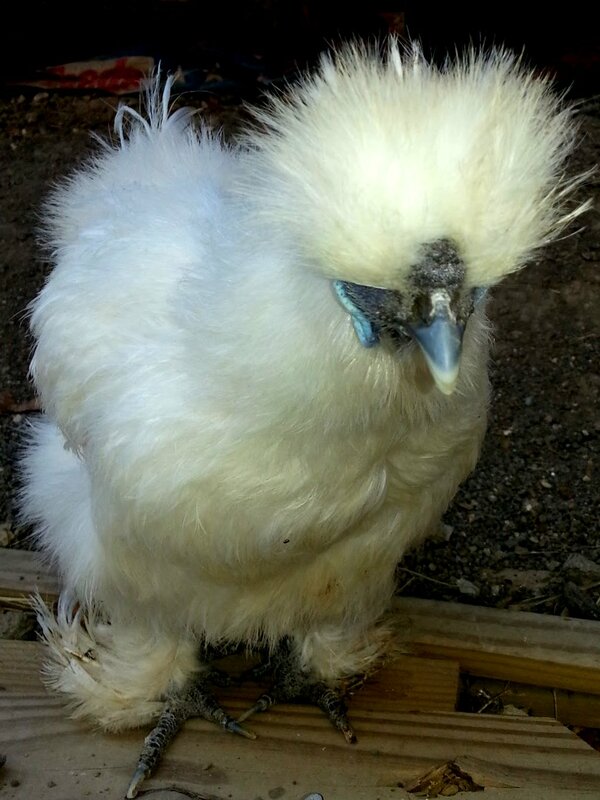 she has always had a strong tendency to be broody, and so her egg laying is quite sporadic. but she is just SO photogenic! 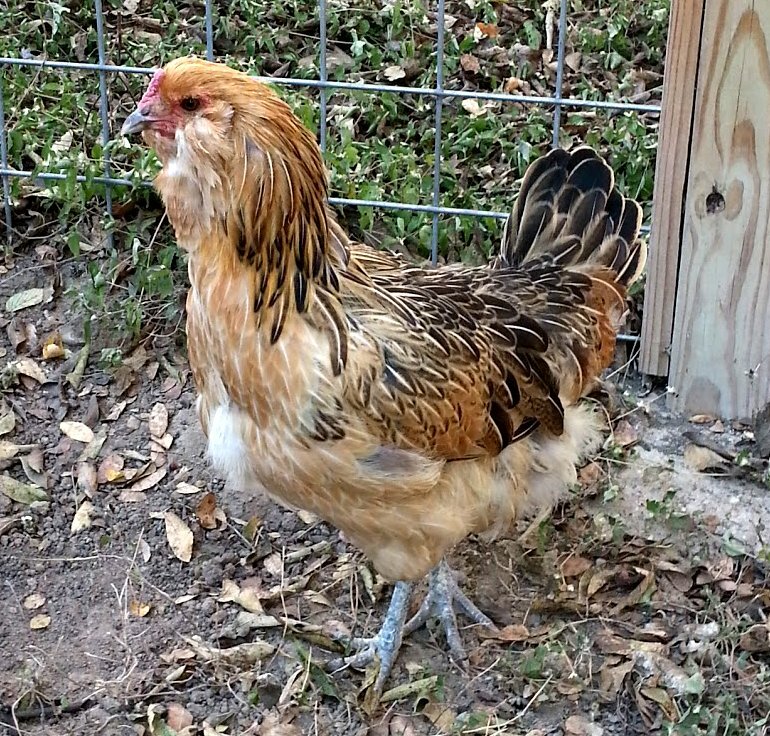 bolo, having returned from her extra-coopular experience, had a pause in egg laying for a couple months. i suppose she was processing her experience and resolving her newly-deepend chickenness before getting back into the egg thing. 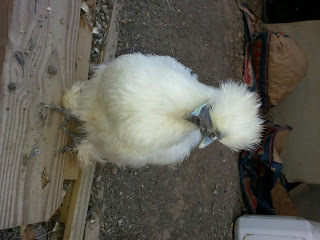 however, just in the past couple days she has seemed to resolve her chicken identity. 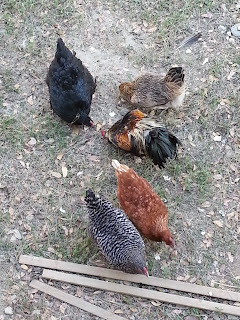 tony parker, the other relative newbie girl, should start laying any second. she is filling out nicely, has had no health issues, and is certainly the most athletic of all the avians. 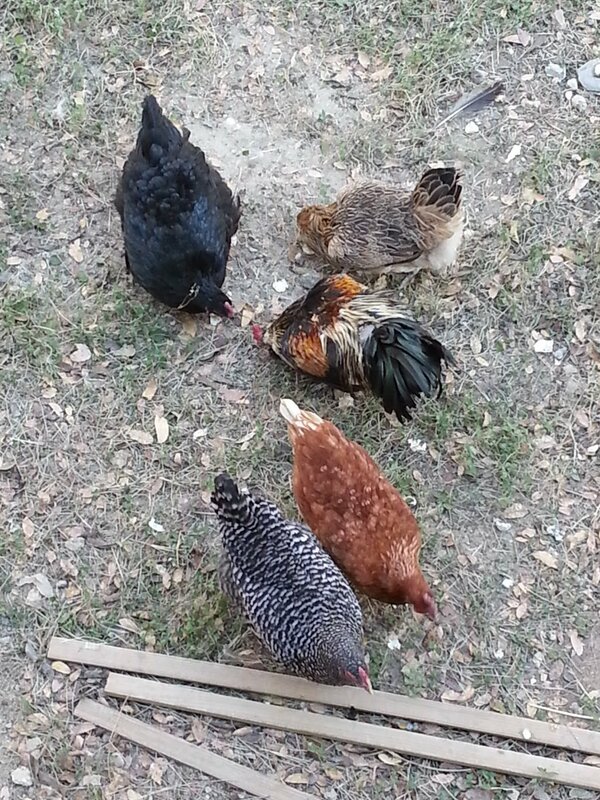 she also adds a classic black n' white old fashioned hentacular touch to the flock. i can't wait to meet her eggs! and then, of course, there's tumblr the rooster. he has also just come off a recent molt, and his plumage is shinier than ever. he seems to think so too, and his crow seems to get louder with his colors.